Do you often feel tired after getting a full night’s sleep? Is it difficult for you to fall asleep, or you wake up too early in the morning? These are just a few examples of different sleep disorders that many people will face at some point. The good news is most sleep disorders are manageable after diagnosing the underlying problem, putting you back on the path to getting deep, restorative sleep. Humans spend about a third of their lives sleeping. Although researchers are still learning why our bodies require sleep, there’s no doubt that sleep is vital to rejuvenating our minds and bodies. Any condition that prevents you from reaching the recommended seven to nine hours of uninterrupted sleep is considered a sleep disorder. What Are the Different Kinds of Sleep Disorders? Circadian rhythm sleep disorders— affect people who travel (jet lag) and shift workers who have trouble adjusting to sleeping during the day. Additionally, parasomnia is an umbrella term defining various behaviors that disrupt sleep stages such as sleepwalking and nightmares. 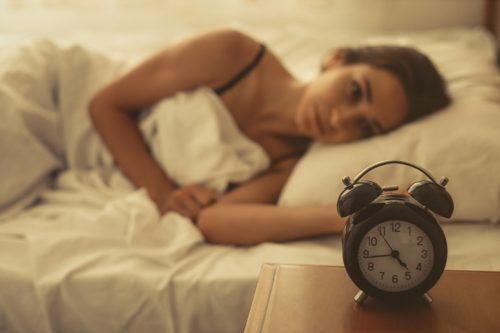 Common symptoms of sleep disorders include excessive daytime drowsiness, uneven breathing patterns, poor mood, lack of concentration, and extreme body movements during sleep. What Are the Long-Term Effects of Living with a Sleep Disorder? If you drive, the consequences of prolonged sleep deprivation can be dangerous. The National Highway Traffic Safety Administration (NHTSA) reported that driver fatigue was the cause of more than 83,000 automobile accidents from 2005 to 2009 and was responsible for 803 deaths in 2016. In fact, sleep-deprived participants in a driver simulation study performed as badly as those who were under the influence of alcohol. How Can I Help Myself Get a Good Night’s Sleep? Don’t take a nap later than 3 p.m. If you believe you have a sleep disorder, make an appointment today with Park Avenue Medical Professionals. Our physicians diagnose and treat all kinds of sleep disorders and offer outstanding, compassionate care.